«They say that taking a journey with your eyes wide open to any curiosity is like reading a hundred books at once. Well, this Asian trip has been an unimaginable experience. If the above motto is true, I might say that I read an entire library at once. And in this library I included these travel notes, put together based on memories, photos, conversations and images». THE BOOK: From Rome to Moscow to board on the “huge snake” of the Trans-Siberian railroad to finally reach Mongolia. Trans-Siberian is a reportage full of photos and illustrations of a journey 13 thousand kilometers long that crossed the geographical and cultural boundaries that separate West from East. 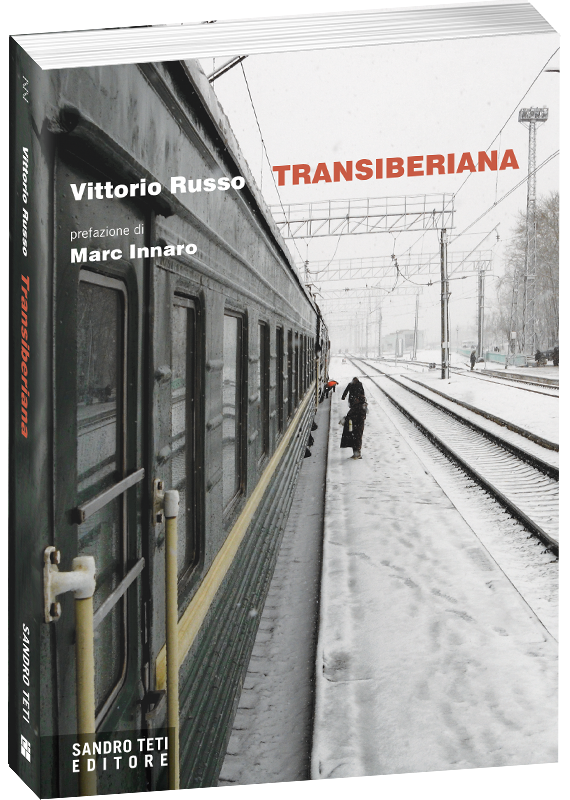 The writer takes us through the boundless Russian lands and the Mongolian civilization and bring us with him in the wagons of the longest railway in the world, a Pharaonic infrastructure that was built also thanks to the contribution of Friulian workers, that are remembered more in Russia than in Italy and that are recalled in these pages. Places and peoples so distant have never been so close. A book with an evocative language. A book full of poetic images. A book aimed at discovering the exotic, “wild” and authentic East. Vittorio Russo. A long-time captain, he is a journalist, traveler and writer of essays and short stories. He published research and studies on the origins of religions and Christianity including The historical Jesus (Editrice Fiorentino, 1978), winner of the Montecatini 1980 award for non-fiction. He is the author of narrative anthologies and novels like La decima musa (M. D’Auria Editore, 2005), Quando Dio scende in terra (Sandro Teti Editore, 2011) and La porta degli esili sogni (Cairo Editore, 2017). His journeys inspired books that intertwine geographic, myth and history, between these India mistica e misteriosa (2008), Sulle orme di Alessandro Magno (2009) and India nel cuore (2012) Albori 2012 literary prize and finalist for the Rea 2013 award.